So what would happen if we didn’t have the feeling of a man being responsible of his own acts? We face the consequences of being human. In particular, the thought that relentlessly causes the necessity of being alive, but at the same time the wish for death. Death to all the hours that pass around without anyone noticing, perhaps death to the feeling of being only a human. Surely, an overwhelming awake condition must appear as an expected continuation as time goes by to the man realizing the awareness of reality. By definition, each man must differentiate from the rest by acting, so the individual response to every act must indicate a vision for the eyes that judge, and inevitably the rest of the world. The following films, each in a very natural way, show loneliness, whether realizing their preceding acts that were desperation. Using all the possible brushes that come from director’s hands, these movies talk about the consequences of the existence in a less expected way. This is Krzysztof Kieslowski’s most acclaimed work. Perhaps the most suitable interpretation of the Ten Commandments, it’s very well known that each of the 10 films (each an hour long) represents a commandment, or at least tries to describe the moral and ethical issues of each one, because there isn’t an one on one correlation. All set in a large housing project in Warsaw, each film proposes an individual approach between the good and bad trials. Resting on the threads of everyday life, the individual conscience awakes from specific actions to demolish reactions by the main character. Those actions and reactions lead to countless questions that almost threaten the necessity of a religious belief or an uncertain belief regarding multiple differences between god and men; that is, that personal beliefs can change according to particular moments presented to the characters. The individual that charges all the moral weight in each film is weighed down by the complexity of living in the postmodern time. 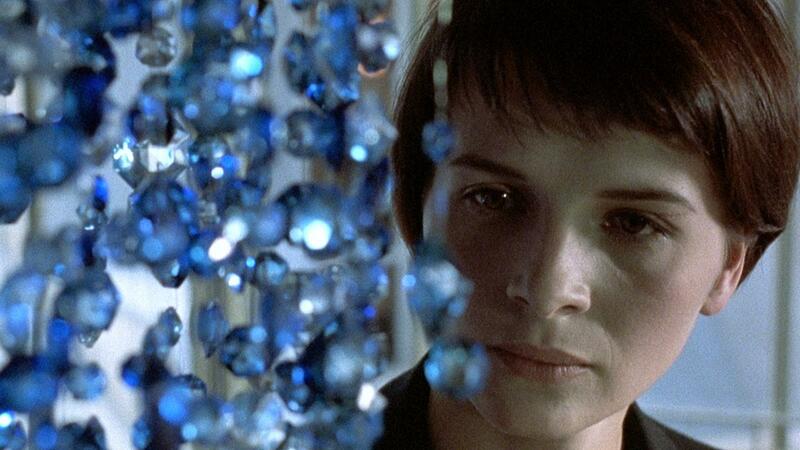 Kieslowski put individual existential issues at a level of Poland’s society at that time. Just seeing the first film’s countless moral and ethical behaviors in each frame will make you think more about the nonsense of life. 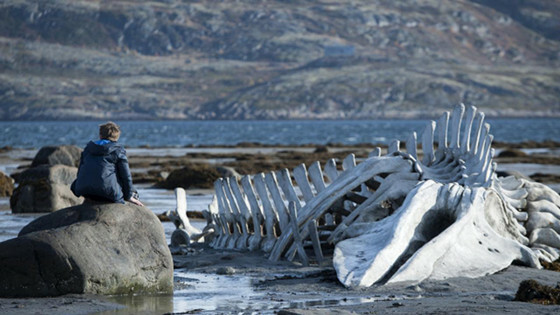 Directed by Andrey Zvyagintsev, this film enhances a modern “book of Job” interpretation. A Russian fisherman named Kolya (Aleksei Serebryakov) fights the evils that have come suddenly from nowhere, either by the corruption by the government, or an apparently absent young wife, or his own son, or the people’s indifference that surrounds him. He has to stay above it all, trying at the same time to look for a nonexistent faith that rests only at the eyes of the audience. This film deals with important social issues of contemporary Russia, but these can be seen without a country’s name attached to it, because the main problem resides on a man pushed away from his life. A prize winner at the Cannes Film Festival, this is a film with moments intercalated with wide-screen sequences that show dramatic landscapes of desolation and loneliness, and encounters with symbolic and philosophical frames that lie almost at a Biblical reference, as the film progresses to an unfaithful end. Without a question, this is one of the best contemporary Russian films that might follow the path made by Tarkovsky. A question clearly must be asked: How a man can live between the rest? Even the others have the same question above their heads. In the end, only Akhenaten Act 1 by Philip Glass might encounter an answer. Why does a French psychological thriller deserve a place on this list? Because apart from an unanswered central plot made by the film, the idea of an unanswered life perpetuated by mystery involves the search for an identity beyond any kind of knowledge of how to figure it out; that is, a flawed disruption, in this case of an Parisian family routine. In this kind of puzzle by Michael Haneke with no film score, Anne Laurent (Juliette Binoche), Georges Laurent (Daniel Auteuil) and their son suddenly start to receive videos showing nothing more than their life between their house and the rest of the world. They perform long shots outside the Laurent house, just waiting without anyone noticing, hoping for a patient audience. These recordings involve a presence connected from the past of Mr Laurent’s life. 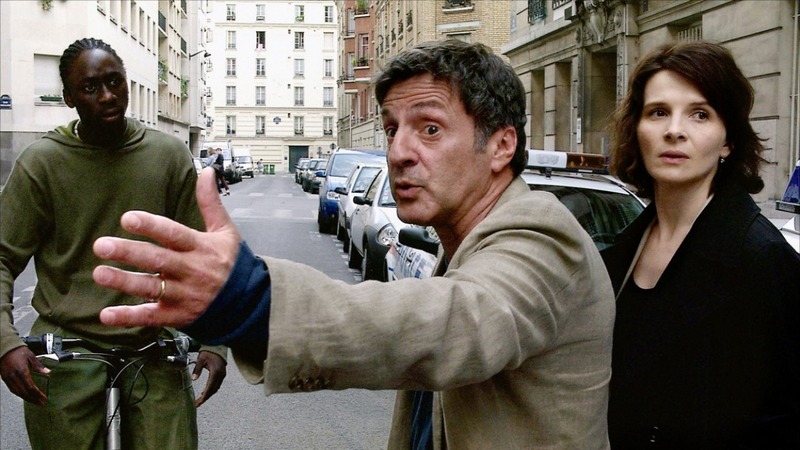 Here, a decision from his earlier life, particularly his childhood victim, Majid (Maurice Bénichou), might be responsible for it all, but the question remains until the last shot where two characters meet one another, showing the consequence of a collective life being observed. This movie might depict a reference to the best way to encounter a situation that is not only real but common. A life has been observed in their own ways. As the title says, this movie is all about consequences. Released in 2005 and directed by Paolo Sorrentino, this film is something that someone very particular in a very particular moment could identify with. Subtle details, like the starting long shot that admires the sharp lines that passes a man in an empty corridor, make a movie aesthetically pleasant from the beginning to end, with marvelous cinematography. This time it’s an Italian psychological thriller that tells the mysterious story of a lonely businessman living in a Swiss hotel. Titta Di Girolamo (Toni Servillo) might be considered a metamorphosis from beginning to end, matched with bad decisions made by Tito involving the Italian mafia who, his point of view, are resting at his back only waiting to be free. Causing pain and suffering, this movie follows one principle where the only exit from life is death itself. It’s a Sorrentino masterpiece that’s worth every night you have free. What about the eyes that perpetually observe the world? 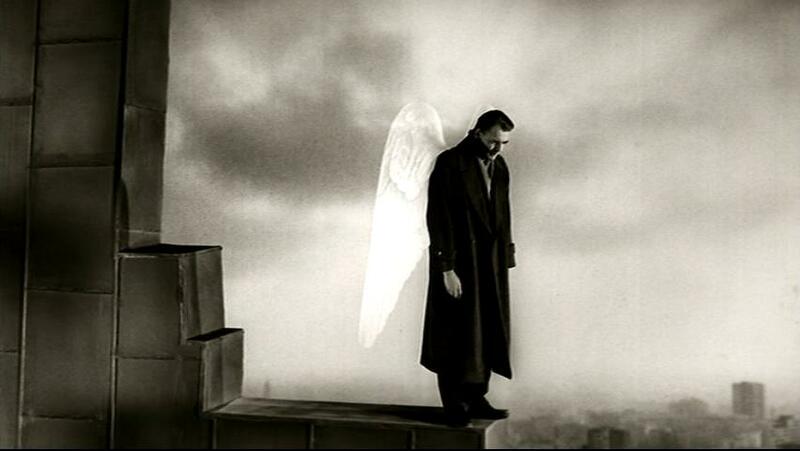 This real world, of course, is betrayed by love and cruelty, represented by the desire of an angel named Damiel (Bruno Ganz) about become a human “being” and Berlin’s Nazi past, respectively. The cinematography by Henri Alekan showing the point of view of the angels is brilliantly achieved. This film creates an atmosphere where infinity apparently emerges from the observation and experimentation coming from a perpetual time desperately needing a kind of blue-tinted shot. This is the first color film by Michelangelo Antonioni that feels disturbing from beginning to end. Set between existential issues about a postmodern industrial society full of desolation, that could be a provocative era not far away from us. Antonioni brilliantly takes advantage of panoramas that draw the architecture and landscape in a solid frame that senses the alienation of the main character, Giuliana (Monica Vitti), a depressed woman who condemns the sense of oppression of a land full of nonsense, intuiting the suffering of the unavoidable consequences of an accident. This film is a kind of response after the oppression of the incorrect evolution of society and all of its consequences, because who can manage an inhuman existence created with the same purpose? 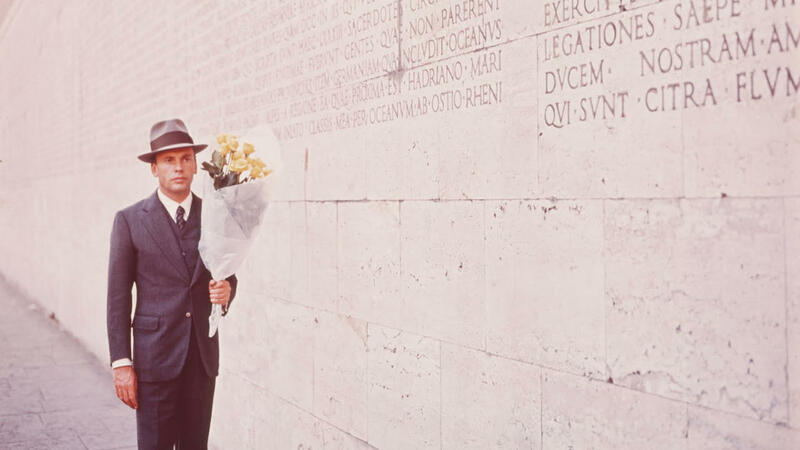 This is an Italian masterpiece from 1970 directed by Bernardo Bertolucci, based the same name novel by Alberto Moravia and starring Jean-Louis Trintignant as Marcello Clerici, the main character who apparently represents the conforming to what Italian society was at that time. It combines politics, sexuality, and ordinary truths behind the complex character of a man with flashbacks that tell about a relationship with fascist secret police, and discussions and confessions that gradually give the reasons for why this conforming attitude prevailed. Vittorio Storaro’s cinematography takes advantage of compositions shots that very few have made, which is a recreation of Italy of the 1930s, using art deco architecture. With a beautiful open shot, this film will catch you from the beginning to the end. It’s a piece that deserve a place in history cinema.